Kansas City, MO (June 23, 2017). The Barn Players are pleased to announce the finalization of their plans to become a flagship tenant at the Arts Asylum. This will involve moving from their Mission, KS location to downtown Kansas City, MO in January, 2018. 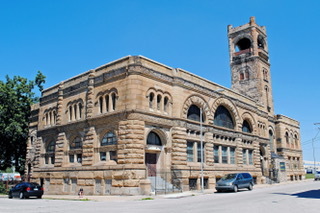 The Barn Players new address at the Arts Asylum will be: 1000 East 9th Street, Kansas City, MO 64106. This move will give their audiences easy highway access and puts the organization in a better position to service the entire metropolitan area. Potential future redevelopment of their current location necessitated the move and some creative foresight was needed to look beyond the state line for potential locations. Vida Bikales concludes, “We are thrilled to be moving to a location where we will surrounded by other theater companies, visual artists, musicians and students involved in the arts. 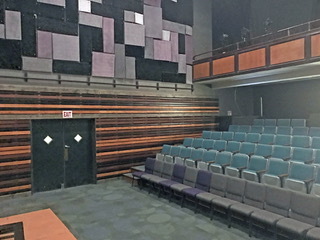 This collaboration in a newly renovated theater, will bring a new energy and more creative opportunities to The Barn Players."